Weather won't affect your vacation when you stay with us. Our indoor pool and splash pad are open year-round! Our front desk staff will help with any Branson questions. 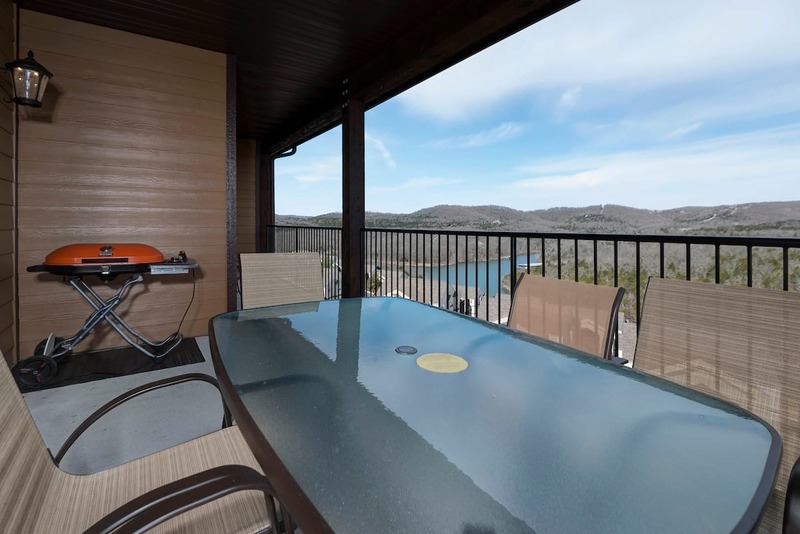 We have the BEST Table Rock Lake view on Indian Point! Offering 2-, 3-, and 4-bedroom Branson vacation rental condos near Silver Dollar City! 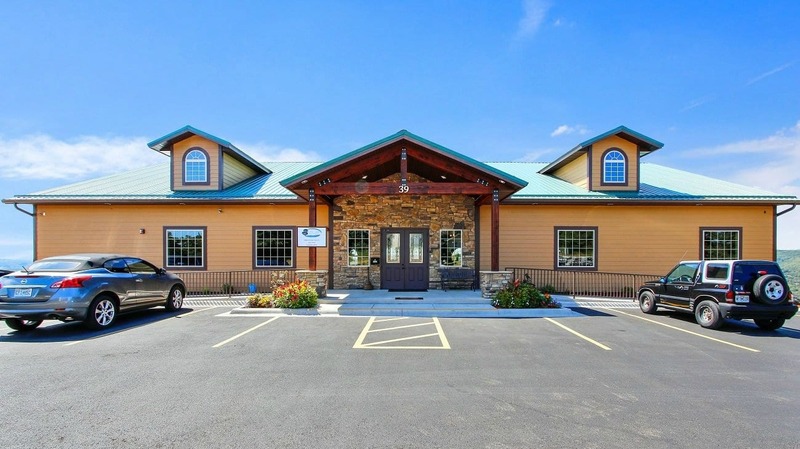 We are located just off Indian Point Road on a hillside with beautiful views of Table Rock Lake, minutes from the Branson Strip! 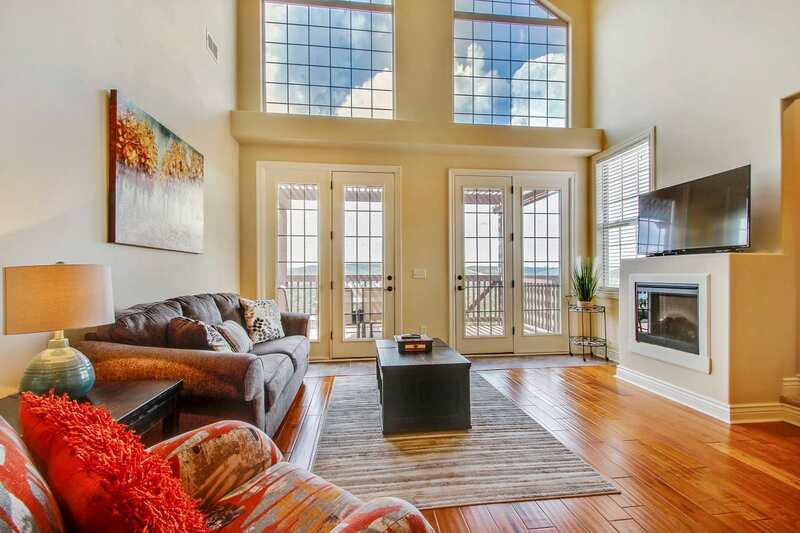 The Clear Lake Condo Rental family wants to give YOUR family a relaxing Branson vacation. You'll have no worries when you stay in one of our Branson vacation rental condos. Our front desk staff is here to help with everything you need, whether it's an after-hours check-in, a recommendation for someplace to eat, or the best way to get show tickets. Our on-site maintenance crew means if you have any problem with your condo, it will get fixed in a jiffy. Our location is perfect to give you the peace and quiet you crave while still being close enough to everything you want to do. And you'll avoid all the Silver Dollar City traffic -- always a plus! We have vacation rental condos in THREE resort areas! 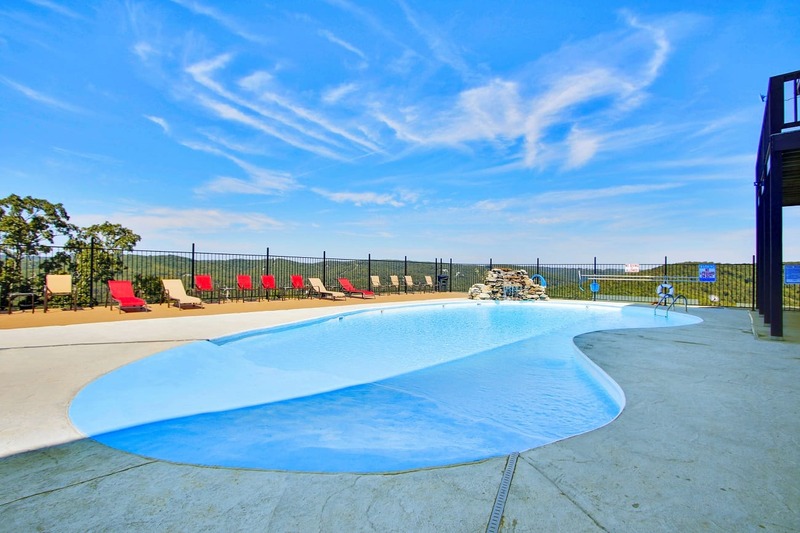 All of our Branson vacation rental condos are located on the same hillside as our brand new Clubhouse with indoor/outdoor pools and splash pads. Not all resort condos in this area have access to our Clubhouse -- but if you book with us, you can be assured that you can use the Clubhouse amenities at any time! This resort area is where our Clubhouse is located. Stay in one of these units and you will be right next door to the indoor amenities! Here we have luxury 2- and 3-bedroom units, as well as 3-bedroom loft condos. The views from up here, the highest on the hillside, are absolutely breathtaking -- and every condo has a private back deck from which to enjoy them! 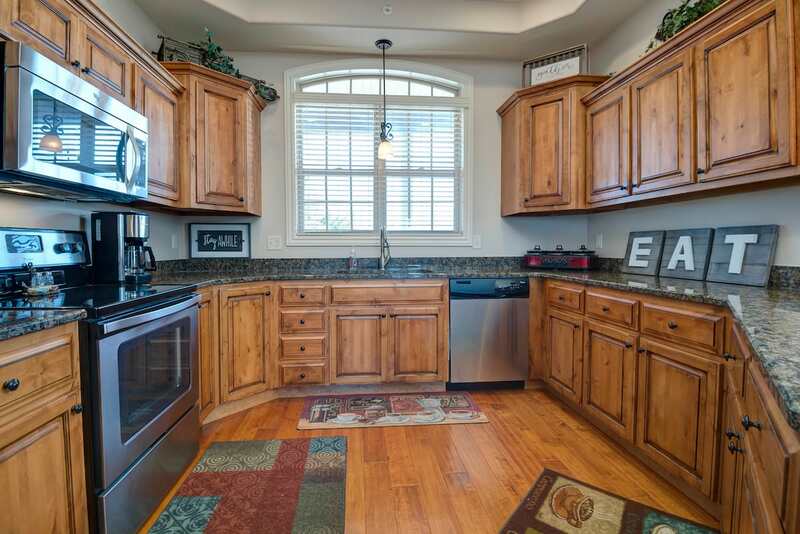 At Eagle's Nest Resort, all condos are 2-bedroom/ 2-bath with full kitchens and full-size washer/dryers. These are a more budget-friendly option than our other two resort areas. Be careful, though: while you might find condos at Eagle's Nest Resort available for rent from other places, most of them do not have access to our Clubhouse with the indoor pool and splash pad. Book through us to be sure you can use ALL of our amenities! 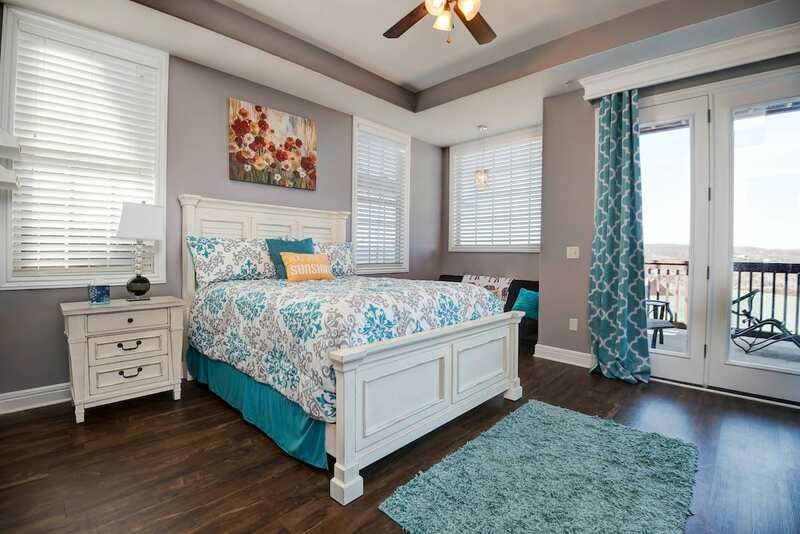 Our Branson vacation rental condos are better than any hotel room -- and you might be amazed at the prices! We know what those skimpy hotel rooms go for. Our 2-bedroom Eagle's Nest Resort Condos are about the same per night! 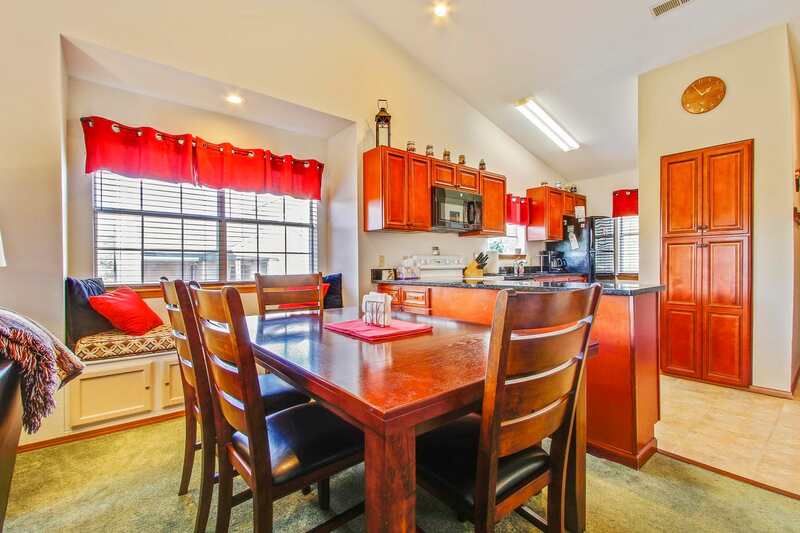 And you get a full kitchen, full-sized washer dryer, and a separate bedroom for the kids. Plus our large indoor pool and splash pad, so weather can't ruin your vacation! Or get even MORE room -- we have 3- and 4-bedroom luxury resort condos that will fit the extended family or multiple families with ease. You can use the generous kitchens to make meals together and save money over eating out. No need to get two hotel rooms -- that may not even be close together -- when you can fit everyone in ONE of our vacation condos. NOW think about the price comparison -- it really makes sense to ENJOY your vacation by getting a condo! Want to bring your pet? No worries -- check out our several pet-friendly condos. Your furry friend deserves a vacation, too! If you have trouble with stairs, we have a selection of walk-in condos for those with impaired mobility (or maybe just small children, lol). P.S. Here in the Ozarks, don't ask for a ground floor or first floor condo. Be sure to say "walk-in" -- because we are so hilly here that a ground/first floor condo might actually be DOWN-stairs! Fortunately, our Eagle's Ridge building has an elevator, and we also have other condos that you can get to without using any stairs, and some that require only a few. Let us know what you need, and we'll find somewhere for you to be comfortable!